Every individual earning annual income above a specific amount has to pay tax to the state upon his earnings. These taxes are eventually returned to the public in form of various facilities and benefits. However, many people do not desire to pay hefty sums of money to the federal tax department. Tax evading by manipulating the stats and figures is a punishable crime all over the world but there are also legitimate ways to reduce the income tax payable to the state. You will be required to lower down your Adjusted Gross Income (AGI), which your income which is subjected to tax, and you can save some bucks. Contributing your income to a retirement program is adjustable in AGI and will reduce the net amount of tax payable. You can take on a 401(k) or any other retirement plan offered by your company and your wages will be reduced automatically. You can find this list of adjustable expenses on Form 1040 and use them effectively to reduce your AGI. The 2009 tax reforms have introduced credit for first time home buyers and this sum of money is refundable on the tax return. You can purchase a new house if you don’t have one before and can avail the benefit from this amazing offer. Just keep in mind that you have to retain your house for several years and cannot sale it before claiming all the benefit. If you have a mortgage on your house, the amount of interest you have to pay to the bank is also adjustable in AGI. The real estate taxes paid to the county also fall in the same category and you can deduct them from your gross income before paying the tax. There are several tax credit options available, like buying a new hybrid car or truck, Earned Income Tax Credit and the Child Tax credit. 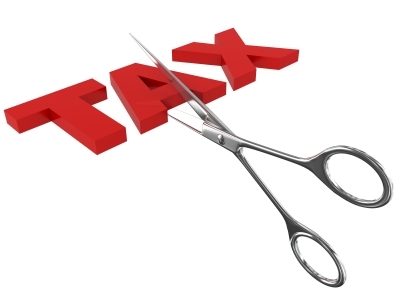 Avail as many options of tax credit as possible.